Early bloomer. Trumpet shaped flowers, 5 petals, vine-like stems. 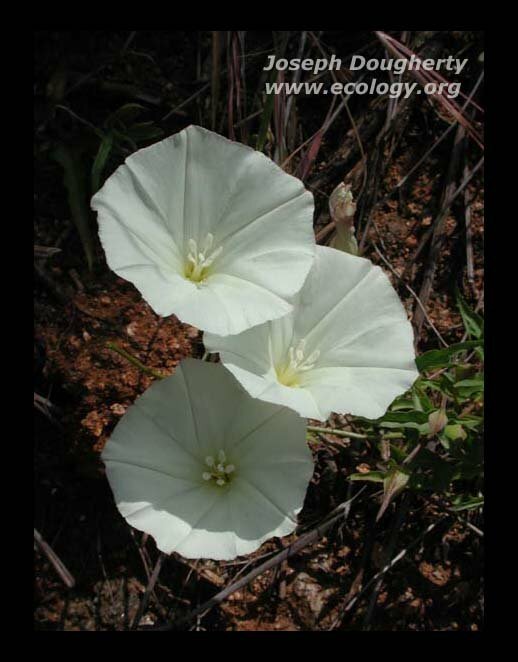 Similar to non-native Field Bindweed, also at Bridgeport. Notes: Morning Glory family. Also called Western Morning Glory. Distinctive, arrow-shaped leaves, flowers white when young, purplish as they age.